Horsetail the common name given to the ancient plants of the species Equisetum. Common Horsetail, Equisetum arvese, has been used for a very long time in traditional and folk medicine in the treatment of a number of ailments and conditions. The Ancient Romans used Horsetail to treat bleeding, urinary problems, arthritis and tuberculosis and it also has a long history of use in the Chinese medical tradition in the treatment of eye problems, dysentery, and inflammation. Horsetail is still used in the treatment of a number of conditions by herbalists today, and it is an ingredient in a number of weight loss supplements. These days, horsetail is primarily known for its strong diuretic properties. Where does Horsetail come from? Horsetails are native to the Northern Hemisphere and grow in temperate, moist areas. They now grow in almost every country in the world. Many of the plants in the Equisetum genus, including E. arvense, are considered pests. The plant has been declared a noxious weed in NSW and QLD, where colonies have, or are in danger of becoming established (1). The horsetail extracts used in medicinal and nutritional supplements are sourced from overseas. Horsetail has remained a popular herbal supplement due to a number of benefits. This plant has traditionally been a popular treatment for urinary issues and oedema due to its diuretic properties. A recent study showed Horsetail to be equally as effective as one of the most commonly used pharmaceutical diuretics in altering water balance without affecting electrolyte levels, concluding that it was a safe alternative for short-term use (2). This plant has also shown a good deal of promise in promoting bone health. Extracts of the plant have been shown, in in vitro experiments, to prevent the generation of osteoclasts, the cells that digest bone (3). Similar experiments have shown that Horsetail extract promotes growth of osteoblasts, cells responsible for bone growth, and additionally, may have antibacterial effects (4). There has been some evidence showing the anti-inflammatory effects of horsetail, and scientists have determined that this is caused by an inhibition of factors in the immune response (5). There is some research showing a role for Horsetail as an antioxidant, and antiproliferative (6), and animal studies have shown that this herb may reduce anxiety (7). Horsetail is widely used for its strengthening properties on hair, skin and nails. Many people have reported these effects, but they are as yet unstested by science. Horsetail is primarily included in weight loss supplements and shredding proteins because of its diuretic properties. Bloating and excess water reduces muscle definintion, and diuretics are often included to remedy this, to give a more defined, cut appearance. There are a few suplements that are known to cause water retention, creatine probably the best known amongst these. A diuretic like Horsetail can help limit or prevent this effect. Horsetail is also a common inclusion in vitamin and mineral supplements, for its role in bone health. Bones are the foundation of the physique, and healthy bones are vital for healthy and efficient muscle development. Many companies are realising that skeletal health is not an issue faced only by the elderly - many athletes who push their bodies to the limit do see the effects of this in their bones and joints, and supplements like Horsetail are becoming increasingly popular as they offer the promise of limiting or even repairing damage. Horsetail has been used for thousands of years witout significant ill effects, but there are some side effects to be wary of. While Horsetail is thought to be safe in the short term, but because this plant contains the enzyme thiaminase, it may cause thiamine deficiency with long term use (8). Furthermore, it has been noted to cause liver injury (9). Many of the effects of Horsetail, particularly as a diuretic, have been well documented through centuries of use, but many other uses of this plant have no, or only tentative research in humans that shows effect. There is not enough scientific evidence to recommend an effective dosage of horsetail, at present. In addition, because it is a biological product, horsetail is subject to variation in the amount of active ingredient present in each extract. It is best to follow the instructions of the supplement manufacturer with regard to dosage and timing of horsetail. 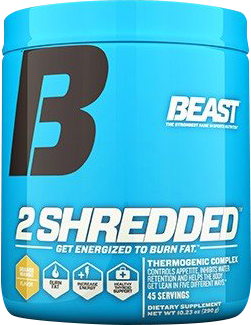 Horsetail makes an appearance in a number of fat loss products like Beast 2 Shredded, shredding proteins like BSc Hydroxyburn Pro Clinical 2.0, and Vitamin supplements like Balance Sports Multi plus Antoxidants. Horsetail is often stacked with other weight loss ingredients or ingredients that support overall good health. (1) Weed Alert: Horsetails. NSW Department of Primary Industry and Agriculture. http://www.dpi.nsw.gov.au/agriculture/pests-weeds/weeds/profiles/horsetails. Accessed 18th August 2014. (2) Carneiro DM, Freire RC, Honório TC, Zoghaib I, Cardoso FF, Tresvenzol LM, de Paula JR, Sousa AL, Jardim PC, da Cunha LC. Randomized, Double-Blind Clinical Trial to Assess the Acute Diuretic Effect of Equisetum arvense (Field Horsetail) in Healthy Volunteers. Evid Based Complement Alternat Med. 2014;2014:760683. (3) Costa-Rodrigues J, Carmo SC, Silva JC, Fernandes MH. Inhibition of human in vitro osteoclastogenesis by Equisetum arvense. Cell Prolif. 2012 Dec;45(6):566-76. (4) Bessa Pereira C, Gomes PS, Costa-Rodrigues J, Almeida Palmas R, Vieira L, Ferraz MP, Lopes MA, Fernandes MH. Equisetum arvense hydromethanolic extracts in bone tissue regeneration: in vitro osteoblastic modulation and antibacterial activity. Cell Prolif. 2012 Aug;45(4):386-96. (5) Gründemann C, Lengen K, Sauer B, Garcia-Käufer M, Zehl M, Huber R. Equisetum arvense (common horsetail) modulates the function of inflammatory immunocompetent cells. BMC Complement Altern Med. 2014 Aug 4;14(1):283. (6) Cetojević-Simin DD, Canadanović-Brunet JM, Bogdanović GM, Djilas SM, Cetković GS, Tumbas VT, Stojiljković BT. Antioxidative and antiproliferative activities of different horsetail (Equisetum arvense L.) extracts. J Med Food. 2010 Apr;13(2):452-9. (7) Singh N, Kaur S, Bedi PM, Kaur D. Anxiolytic effects of Equisetum arvense Linn. extracts in mice. Indian J Exp Biol. 2011 May;49(5):352-6. (8) HENDERSON JA, EVANS EV, McINTOSH RA. The antithiamine action of Equisetum. J Am Vet Med Assoc. 1952 Jun;120(903):375-8. (9) Klnçalp S, Ekiz F, Başar Ö, Coban S, Yüksel O. Equisetum arvense (Field Horsetail)-induced liver injury. Eur J Gastroenterol Hepatol. 2012 Feb;24(2):213-4.